How Maneki Neko (The Japanese Waving Wealth Beckoning Cat) Can Help You Become Rich! Maneki Neko is a beautiful, cute looking waving cat. 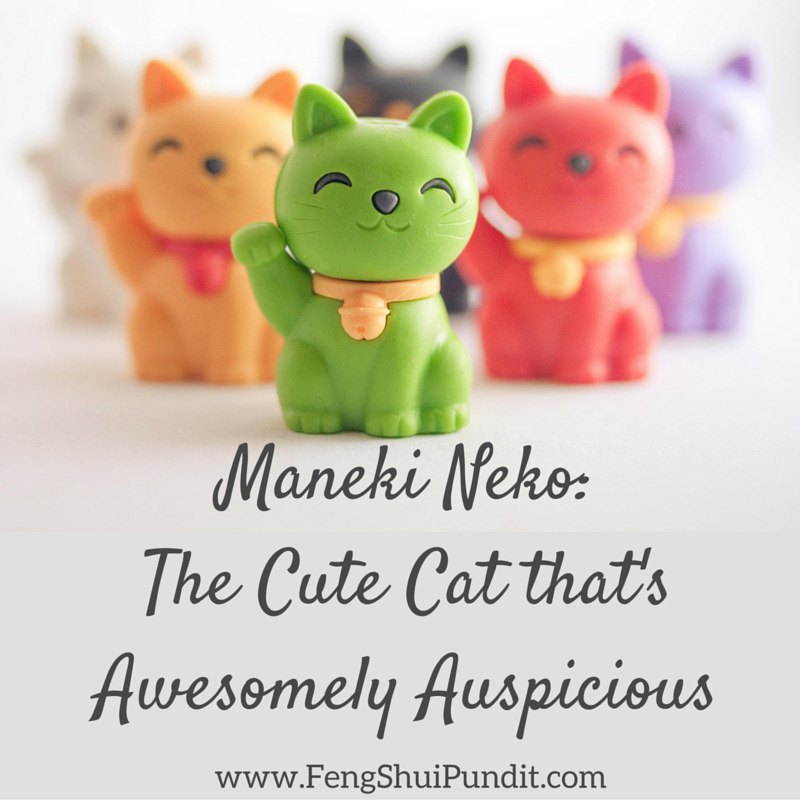 Many people believe that Maneki Neko is Chinese; however that’s not truly the case. In fact, Maneki Neko has Japanese origin. However, it has been lovingly accepted in Chinese Feng Shui. But what does Maneki Neko mean? You may ask. In Japanese Maneki Neko means “Beckoning Cat”. The cat is believed to beckon – or summon – money, wealth, health and happiness. It’s considered one of the best Feng Shui money charms and cure. There’re various names given to Maneki Neko (especially after being accepted by Chinese Feng Shui). And tonnes of others too! And it’s not just the name. There’re numerous varieties of lucky cats in the market to choose from. They vary in colors, coins, banners, which paw is up etc. This is the primary reason why, I’ve divided this article in to 5 parts. Each part discusses Maneki Neko characteristics that you need to keep in mind while buying – and subsequently – placing one in your home, office or business. Everything is discussed – in detail – further ahead in this very same article, hence all you need to do is to read on! You might already know that colors play a very important role in feng shui and Maneki Neko isn’t an exception. You’d find beckoning cats in various colors in the market nowadays; each with different meaning and significance. The tri colored lucky cats are pretty common and they’re believed to attract good luck, wealth, prosperity and abundance in general. White is the color of purity and hence white colored lucky cats are believed to attract purity (of thought and actions) and happiness. Black lucky cats are like guards. They’re used to protect against anything negative and evil. They’re also good at warding off stalkers; thus providing safety, comfort and peace of mind. In feng shui, golden color is – usually – used to represent wealth and money. Hence a golden waving cat is believed to attract materialistic & monetary benefits. You’d usually find golden lucky cats at various business places such as, shopping stores, restaurant etc. Red, much like black, is a protector and is used to ward away evil and illnesses. It’s good at keeping illness away from kids. Pink is – usually – associated with love; a pink Maneki Neko helps attract love and romance. This is relatively a new color for lucky cats. The article @ Feng Shui for Attracting Love is a must read for everyone who wants to bring in more love into their life. Green is also – relatively – new and modern color. It’s best suited for students as it helps in increasing concentration towards studies. Also, you can use green color lucky cat to ward off illness as green color helps fasten healing. A blue colored Maneki Neko is believed to attract harmony, happiness and good health to the members of the family. This is another point where people often get confused while choosing the right Maneki Neko for themselves (or for gifting others). The left paw is – in general – associated with bringing in more good customers; this leads to more business, more sales and more money. The left paw up lucky cat is best suited for sales based businesses. There’s also a belief that left paw up cat is more suited to businesses that run mostly during night time such as bars, discotheques, night clubs etc. Another belief with raised left paw lucky cat is that it attracts women. Hence for business like beauty parlors, women gyms and other women centric business the left paw raised Maneki Neko is beneficial. Raised right paw lucky cat is – generally – associated with money and good fortune. As with the left paw raised cat, the right paw raised cat is believed to attract men. Hence male centric businesses such as all men gym or men’s salon should consider keeping right paw raised lucky cat. With both the paws up the lucky cat becomes attracting and protecting cat. It helps attract abundance while keeping negative energies and evil at bay. If you’re selecting both paw raised cat make sure that both the paws are at different heights as the same height paws suggests “surrendered” position. There’s a good chance that you’ll notice a coin, bib or bell with all beckoning cats. The coin – obviously – represents wealth and money. The purpose of the coin is to enhance the money attraction capability. The bib and bell are usually associated with protection and materialistic abundance. Hence, you don’t need to be confused while choosing a lucky cat for yourself. Just go with the one that resonates with you. If you’re looking just to attract materialistic wealth then go for a coin one. However, if you wish to attract money with protection then the bib & bell lucky cat is the right choice for you. There’re some more cats that’ll have a banner (with Chinese inscription) with them. These’re also very good lucky cats and the banner – usually – represents auspicious opportunities & money. You can buy these too if you like! Since, you’re – now – aware of the type of Maneki Neko you’d be choosing for yourself; it’s now time to consider the location – or the best location – where you’d be placing the cat for best results. The best placements for your Maneki Neko is discussed in the next section of this article; so just read on! What’s the Best Placement for Maneki Neko? As with everything else in feng shui, the placement of Maneki Neko is also crucial. Having said that, the best placement for Maneki Neko varies with the kind of business it’s supposed to prosper. For Home: The SE part of the house is called the wealth area and placing a Maneki Neko there is good feng shui. For Businesses: Beckoning cat is usually kept near entrances such that people entering a business premise can actually see it. However, if that’s not possible then you can –alternatively – keep it in NE of the business area. For Home Offices: Place the lucky cat as close as possible to the office. Prefer SE corner. Where to buy Maneki Neko From? The market’s flooded with insane varieties of lucky cats available for sale. But, you won’t need to go out of your home just to get a good and – preferably – the best one for yourself (or to gift someone). Here’re links of some of the – most trusted – online vendors you can buy an awesome beckoning cat from. Well, with all that we’ve come to the end of this article. I hope and believe that you liked the information above. If you did, then please help share it! 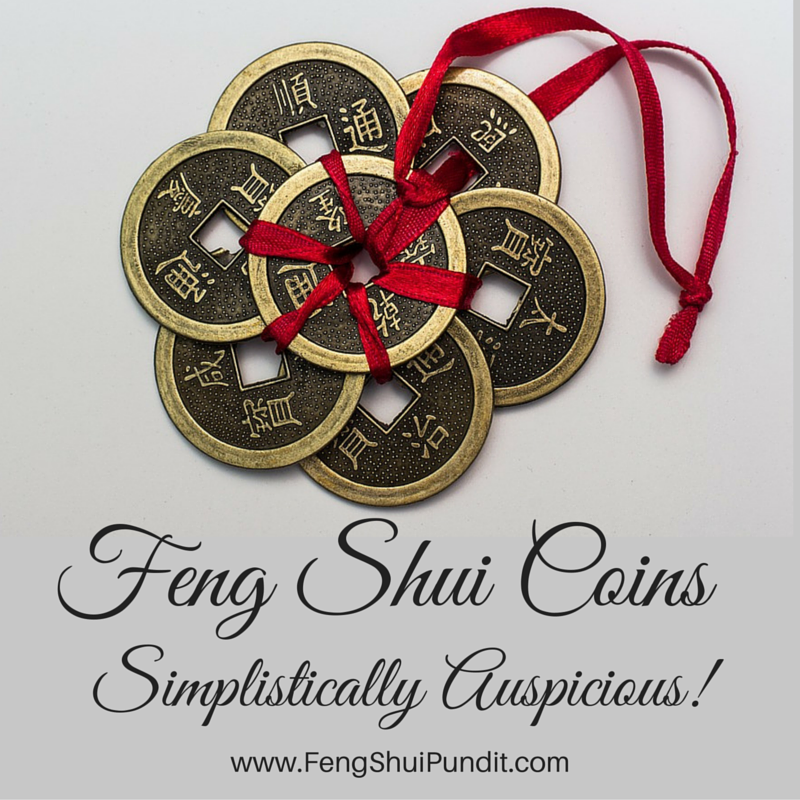 Feng Shui Coins: Why & How You Need to Place Them! Feng Shui Coins are one of the simplest to use tools. They’re – often – used to draw money and wealth. However, they work really well as protection and lucky charms too! Feng shui coins are known by various other names such as Chinese coins, Chinese lucky coins, Chinese good luck coins, lucky coins and many more to mention. One of the best things about Chinese lucky coins is the simplicity. They’re just awesomely simple to use. Furthermore, you can use them at numerous places unlike other feng shui lucky or wealth charms (such as money frog or water fountain). Let’s just have a look (in the next section of the article) at some of the places you can – and will usually – use feng shui coins to attract wealth and money towards you. Best Placements for Feng Shui Coins! The first thing you need to do is to find the area in your home or office that’s directly related to “inflow” of money. Pay attention, I said inflow of money and not just money; here’s what I mean. Suppose, you’re someone who’s working as an IT Consultant and most of your business has to do with your laptop (maybe some sort of software development). In this case, you can place (or paste) 3 feng shui coins – tied with red ribbon – with your laptop to get more – and obviously better and bigger – clients. With that concept in mind let’s have a look at some common – and best places – you’d be placing feng shui coins. If your business is more related to calling people and selling them something (such as a telemarketer) then placing feng shui coins near the phone or pasting coins on the phone itself is a very good idea. Wow! Such a nice place to keep lucky coins; those will help attract more or what you’ve in your wallet. And that’s more money! Want better returns from your investments? Why not place or paste some feng shui coins with (or on) the file. If you’ve a client and want more business from them, then you should have a separate file for them with lucky coins tied to it. Oh, the cash register! The bottom-line for shops and businesses. Can keeping a feng shui coin help make more sales? Sure it will! Place coins under the register and don’t forget the sides. Placing feng shui coins with all the financial files related to earnings will supercharge it; bringing in more & more of wealth. If you’ve got a water fountain then there’s no way you can miss keeping feng shui coins in that. You must have feng shui coins in the fountain! Try placing 6 coins in the fountain. 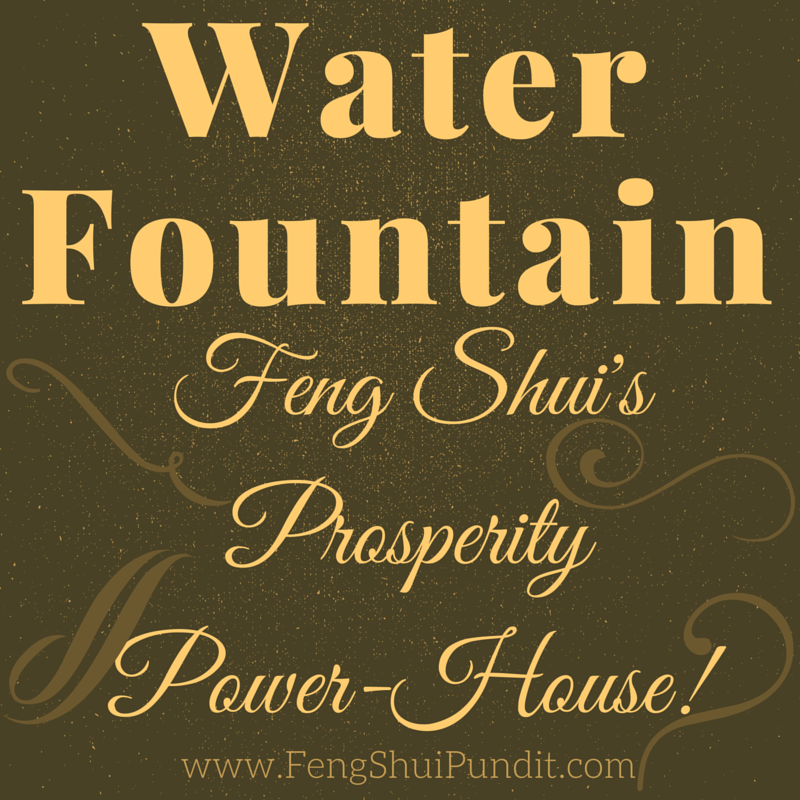 More on water fountain feng shui @ Water Fountain: Feng Shui’s Prosperity Power house. Energize your sitting area; place feng shui coins under your chair. Let them do their magic while you do yours. Hang them on your cabin’s door. Attach them to your fax machines. The more you give the more you get! This law of karma works wonders even with Feng Shui Coins. Hence, don’t forget to gift someone a beautiful set of lucky coins and the universe will take care of the rest. So, did you see how easy it is to place Feng Shui Coins and to start attracting wealth & money luck? But there’re some rules you need to – and must – follow while placing feng shui coins. Those – really simple – rules are discussed in the next section of the article, so, just read on! With all the above myriad of places you can keep feng shui coins, here’re some feng shui rules you need to keep in mind while placing them anywhere. Weren’t those rules too simple? Yes, they’re and that’s the way it is! You’re now ready to gift yourself a beautiful, wealth attracting set of feng shui coins. But before you hop right out of your house to hunt for feng shui coins do read the next section of the article (may be you don’t need to go out!). Where to Buy Feng Shui Coins From? Why you need to get out of your home just to shop for feng shui coins. You can buy em right here! Below are some very good online vendors. Have a look at them. Your reading this far – to the very end of this article – makes me believe that you liked the information above. Do let me know your thoughts via comments section below. Please share this information online! 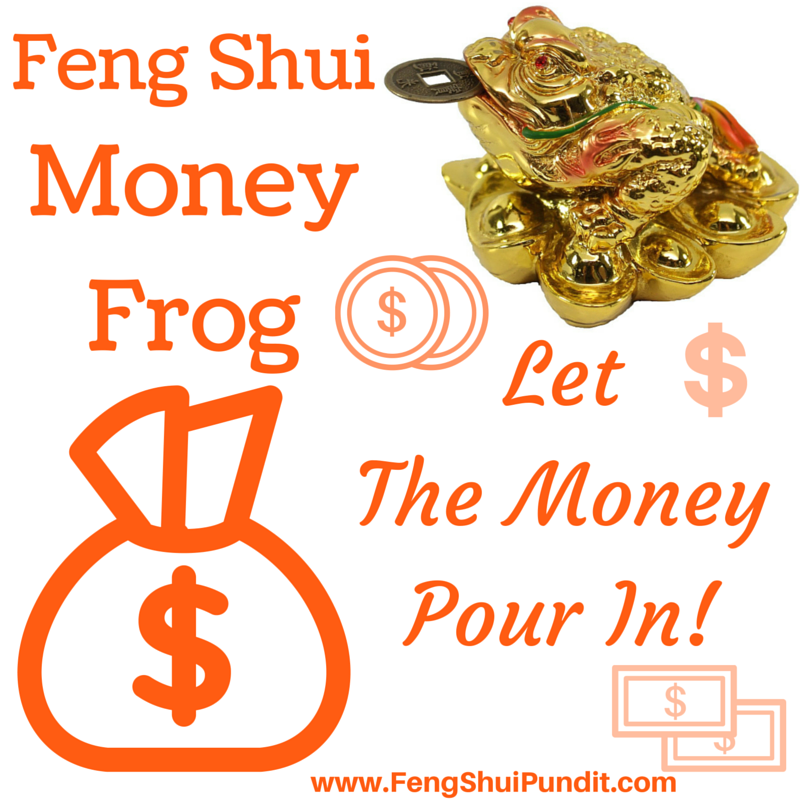 Money Frog Feng Shui: The Correct Placement & Much More! In Feng Shui, Money Frog or Chinese Money Frog is a powerful tool to attract abundance and prosperity. There’re hosts of other names given to the Money Frog. Its Chinese name is “Chan Chu”. It’s also believed that the money frog appears, every full moon, near houses that are about to receive auspicious news about wealth or money gain. It’s often portrayed as a 3 legged toad, with a coin in its mouth. It feels as if the toad is ready to jump into the house bringing in all the money. The Money Frog symbolizes or represents wealth and money in materialistic form. That’s the reason why, placing Money Frog is beneficial for everyone; be it a business owner or a person doing job. But, Feng Shui is all about correct placement and orientation of tools so that we attract the best of positive energies towards us. This is why there’re feng shui rules, tips & guidelines for placing money frogs. These rules will ensure that the toad helps you to attract money and not flush away every penny that you’ve got. Yes! The 3 legged wealth toad has the capability to flush everything – in terms of wealth and money – away from you. And that’s – certainly – no one would like to happen to them or their family. This is the reason – and a very important one – to place the wealth or money toad as per feng shui rules. The next section of this article is dedicated to money toad placement feng shui rules and tips. All you need to do is to read on! Money Frog Placement – What Feng Shui Says About It! As with everything else in feng shui, the placement – or in better words correct placement – of money toad is crucial. So without any further ado, let’s start learning what to do and what to avoid while placing money frogs. Place the money frog near the entrance. Placing it in SE (the wealth area) of living room is good for business men. For enhancements in career, place it in North (the career zone) of living room. Place it on a table such as coffee table or something. You can place it near your table in your office. No money frog allowed in bedroom, kitchen, bathroom & toilet. Never keep it on the ground or floor. Don’t place the toad opposite to the main door or entrance. Having said all that, there’s one more thing you need to do before placing lucky wealth frog. And that is to “activate” the wealth toad or money frog to start attracting money & wealth towards you. Activating 3-legged wealth toad is covered in next section of this article, so just read on! Activating a 3 legged wealth toad is really simple but it’s very crucial. If you just keep the money frog without activating it, then it’s probably not going to attract any money & wealth towards you. Now, irrespective of the type of toad you’ve bought – or will buy – here’s how you should activate the money toad. Step 1: Tie a red ribbon around it; and it’s activated. Step 2: If red ribbon isn’t your thing then you can place the toad on a red paper. Step 3: If the toad you’ve bought has a red ribbon tied then it’s already activated and you need not activate it again. Now, that you know how to activate a money toad, you need to – and should – read the next section of the article to know the significance of coin (the toad has in its mouth) & how it should be oriented. Most – almost all – 3 legged toads that you’ll see in the market will have a coin in their mouth. If there’s none then you need to buy a separate coin from the vendor. You know, the coin in the mouth of the toad is really important. It symbolizes the money or monetary benefits that the toad bringing in with it. Depending upon then manufacturer, you’d usually get 2 types of coins. With Chinese Symbols and Writings. If you get the Ruby one, then make sure that the Ruby side is pointing upwards (and never downwards) once you place the coin in frog’s mouth. If you get a coin with Chinese writings on one side and symbols (usually 4) on the other, then make sure that the Chinese symbol side is facing upwards once the coin is placed in toad’s mouth. How Many Money Frogs to Keep? Well as simple answer to that question is 9; one each in every direction within the living room or garden of your home. The 9 wealth frogs will represent money flowing from all the directions towards you. Make sure to place them discreetly. Also, they all must face in different directions of the compass. Furthermore, the one that’s near the entrance should face inwards (towards the home) as it symbolizes huge wealth and money coming in. If you’re unable to keep 9 money toads, then six or three toads is also auspicious. However, a single 3”X3” wealth toad should suffice for a home or small office. Where to Buy Money Toads From? Well, that’s all there is to when it comes to Money Frog Feng Shui. Do leave your thoughts about the article in the comments section below. Also, if you liked the article then please share it! Feng Shui Living Room – Here’s How To Do It! In Feng Shui, Mandarin ducks is a pair of ducks – usually figurines – kept in a home to enhance and attract love. They are also known as love ducks. In real life too Mandarin Ducks are one partner ducks. Once they get separated, they won’t be able to live for a long time. They become lonely and keep waiting for their partner to come back till death does them apart. In Feng Shui they’re of the best ways – or tool – that symbolizes (attracts & enhances) love and passion amongst couples. Now, that doesn’t means that Mandarin Ducks are supposed to be kept – at home – by couples only. Individuals, who’re looking for a perfect life partner, soul mate or want to attract his/her Mr. Right or Dream Girl can also keep a pair of Mandarin Ducks. But, it’s not just that you can place a pair of Mandarin Ducks in your home and they’ll start to attract love and passion in to your life. You need to make sure that they (the ducks) are placed as per rules of Feng Shui. The placement – or correct placement – of Mandarin Ducks is discussed in detail in the next section of the article; so just read on! Ah, one more thing, I forgot to mention. If you’re married and having some “tough time” with your life partner the keeping a pair of Mandarin Ducks will help resolve all issues. What’s The Best Placement for Mandarin Ducks? Now, you might know, in feng shui, placement plays a very crucial role and Mandarin Ducks aren’t an exception. They should – always – be placed as per rules of Feng Shui. They must face each other. Keep them in SW of your home or in your love area. Bedroom is a good place to keep them. If you’re single: then keep them on your side table. You can place them in living room too! Place the ducks in clean, fresh & well lit area. If one of the ducks gets broken, then get a new pair. Mandarin ducks can be either figurines or paintings. No darkness near the pair. Well, that’s all there is to when it comes to placement of mandarin ducks in a home. Now, apart from placement, the type of material used for making a Mandarin Duck pair plays a critical role in love attraction. Type of materials topic is covered in the next section of this article, so, just read on! What’s the best material of Mandarin Ducks to buy? With the number of Mandarin Duck manufacturers increasing day by day, the materials used for making the duck are also changing. If you’re planning to keep Mandarin Duck in the form of painting then you need not fret about the type of materials used. However, if you’re thinking to keep Mandarin Duck figurine then you need to be absolutely sure about the materials used for manufacturing the ducks. 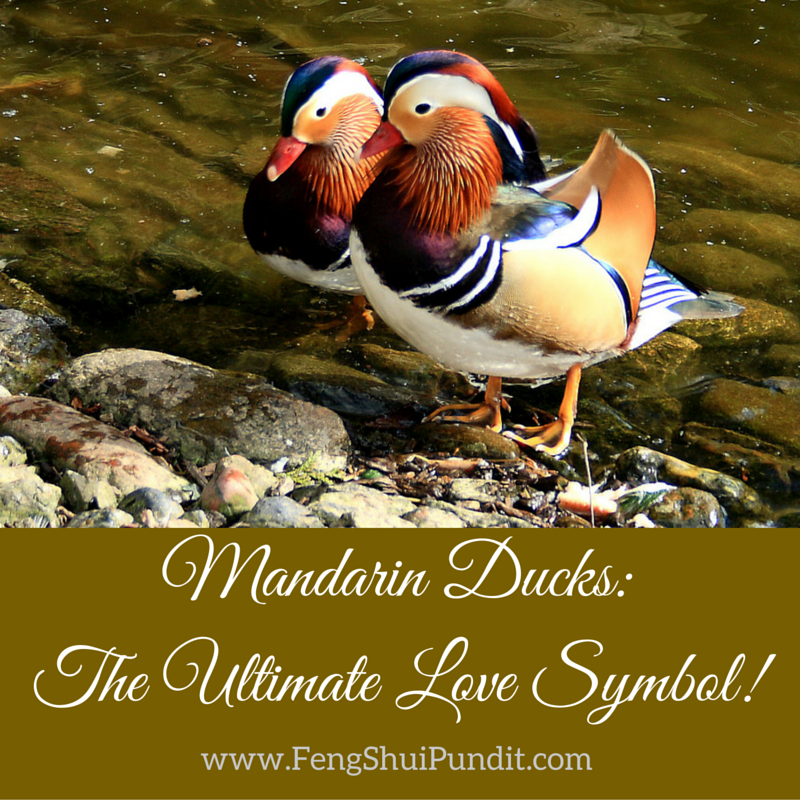 Mandarin ducks comes in many materials such as lead crystal, jade, brass, rose quartz etc. Out of these, the rose quartz ducks are very prominent. Rose quartz emits love energy and Mandarin ducks made of rose quartz tend to double-up their affect bringing additional love energy. Hence, it’s best to go for rose quartz Mandarin Ducks. Where You Can Buy Mandarin Ducks From? There’re a lot of places where Mandarin ducks are available for sale. I sincerely hope that you’d follow above mentioned Mandarin Ducks Feng Shui tips and will be benefited by it. I hope that you liked the above information on Feng Shui Mandarin Ducks. If you did then please share the same! Water Fountain: Feng Shui’s Wealth & Abundance Magnet! Water fountains are auspicious in Feng Shui and here’s the reason why. Water has the ability to collect or pool Qi energy and this ability of water makes a fountain auspicious. Here, I assume that you’re aware of feng shui and it’s principles. If – by any chance – you aren’t then please head over to the article @ Feng Shui (What Is It?) to understand feng shui basics. Now, it’s for sure that you’ve seen water fountains at various beautiful places. They’re at parks, near many hotel entrances, celebrity houses and many more to mention. Also, water fountains – usually – makes people relax, smile and many times forget their problems. Not only this, you’ll – unsurprisingly – see smiling faces near a beautiful fountain. I see them! Always! Have you? I bet you answered YES! Just sit back and think for a moment why & how a water fountain can have such a profound effect on people around it. It’s because “Qi” energy gets collected and pooled with water. The “peacefully” moving water of a fountain distributes “Qi” around it. Thus you – and everyone else – around the fountain feel awesome. But, as with everything else, correct location or placement of water fountain is critical. A correctly placed water fountain is a powerful positive energy generating (and attracting) tool. An incorrectly placed one has opposite impact. Hence, you’ve got to place the water fountain as per feng shui rules to reap the benefits of it. The next section of the article is dedicated to just that, so, read on! Water Fountain Placement – What’s The Best One? As said earlier, a correctly placed water fountain attracts and enhances positive energy. This positive energy then enters your home impacting you & your family in – obviously – positive ways. As a result, everything around you and your family starts to look good. You start attracting better opportunities at work, excelling your career. 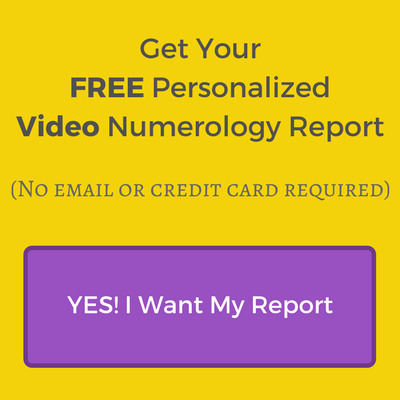 Wealth & abundance starts to pour in miraculous ways you may’ve never imagined. Alright, now it’s not hard to understand the impacts of incorrectly placed water fountain. It’s – certainly – going to take away anything and everything positive from your life. Wealth, health, prosperity, love and much more, just flushes away. And that’s what we – for sure – don’t want to happen. Hence you need to make sure to follow feng shui rules for water fountain placement. Below, I’ve listed feng shui water fountain placement rules in do’s & don’ts format. Do read and apply them to the fountain in your home. Place the fountain in front of the entrance of the house. If it’s not possible to keep the fountain outside, then you can keep it inside. Make sure the water’s flowing towards the house. For excelling in career place the fountain in North. Placing in East is best for health. South-East (SE) placement helps attract wealth and money. Use distilled or filtered water to prevent pump damage. Locate the fountain such that you don’t hear it in your bedroom. Water should flow freely without obstacles. Never keep 2 water fountains at entrance. It’ll bring in negative results. Water flowing away from home symbolizes money & wealth leaving the house. Don’t place water fountain in South of your home. South is fire. Water fountain in bedroom is a no no. Avoid fountains under bedroom. Sleeping over water isn’t good. No fountain in bathrooms too. The fountain shouldn’t block the entrance. That’s all you need to take care while placing a water fountain, as per feng shui, in your home or office. But, there’s one more thing you need to keep in mind. Not while placing the fountain, but while buying one. And that’s the material used to make water fountain. I’ve discussed this in detail in the next section of the article, so just read on! What Water Fountain Material Is the Best? You might know that Feng Shui is based on 5 elements; namely, water, fire, metal, earth and wood. Also, these elements are related to each other via enhancing, reducing and destructive cycles. 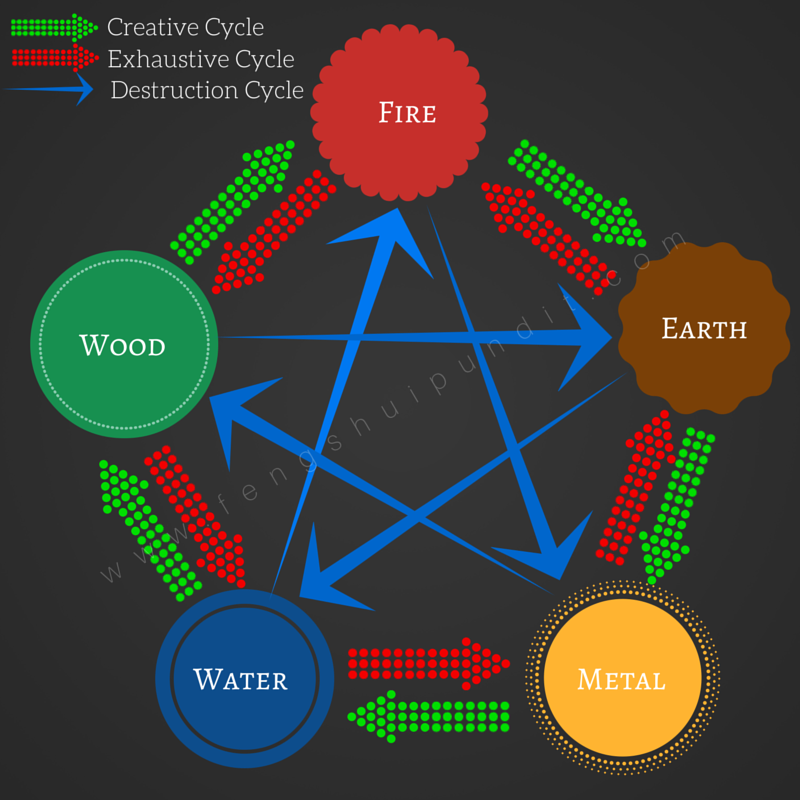 More information about element cycle and relation @ Feng Shui Elements & Relation amongst them. Now, since there’s a lot of water in a fountain, you need to choose the material that supports or even enhances water. Add some coins to earthen water fountain. Metal enhances water. Adding coins to wooden fountains is good too. Wood reduces water and metallic coins will enhance water energy. Having understood best materials for water fountain, let’s move to next section of article. The next section discusses the type or style of fountain that you should be choosing. What Types or Style of Water Fountain Is The Best? The market is flooded with myriad varieties of water fountains. They vary in styles, shapes, size etc. Some are really simple, some sophisticated and some even funny. But the BIG QUESTION here is which one’s the best? Well, there’s no particular answer to this question. You’re free to buy which ever you feel will look good in your home. It’s really all up to you, your taste and your home designer (if you’ve one). There’s nothing like correctly styled fountain or incorrect styled one. Just make sure that it really resonates with you and your home well. Never buy fountain that depicts negative feelings. E.g. water flowing as tears or skeleton shaped ones. Never buy fountains that have sharp edges (type of poison arrows). The size of the fountain shouldn’t be too big to block the entrance of the home. The water should flow gently and not rushing. Should be a good quality one! Where Can You Buy Good Water Fountains From? With all this, we’ve come to the end of this article about water fountains in feng shui. As you’ve read this far, I believe that you really liked the information above. If you did, then please share it!